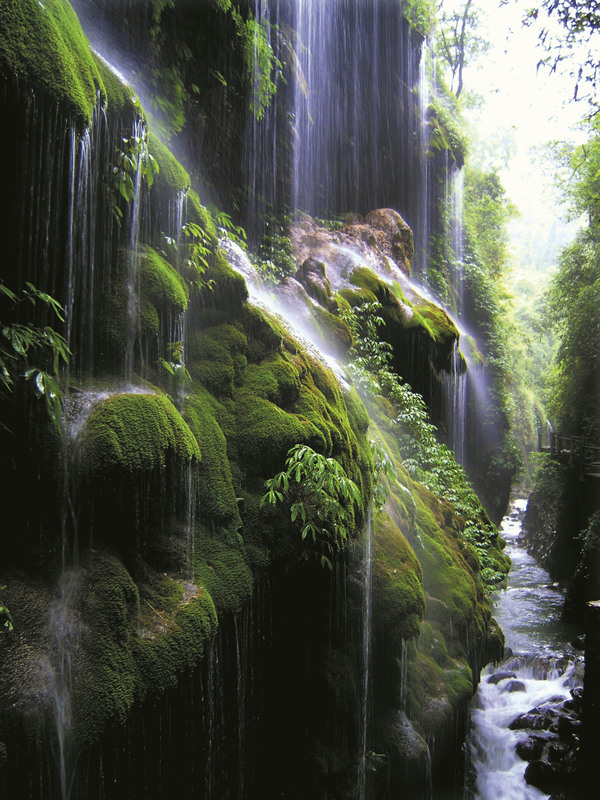 This 10km long canyon in Beibei District is around 70km from downtown. It was formed over 100 million years ago and is famous for its beautiful cliffs and well-worn river bed. 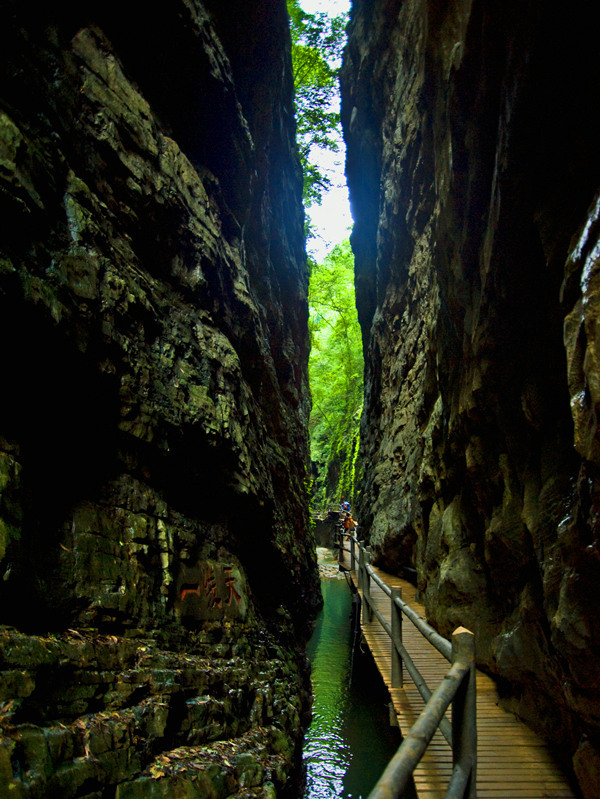 The gorge is narrow and cool and a plank path overhangs the water much of the way. It’s possible to raft and one section hikers must take a punt through a very narrow section. There’s a chair lift from top to bottom and sedan chairs, called “Huagan” (Bamboo Sedan Chair) for hire if you can’t manage the climb.